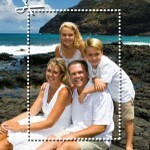 Our most popular photo jewelry and photo accessories come in four mini frame sizes. Be sure to choose a photo that will suit the size of style you have. Examples are below and we’ve coded them (01, 02, 03 and SQ) to make it easier to choose the right one. For more help on selecting the right frame size for your photo jewelry refer to the Frame Size Guide. 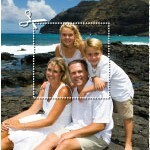 When using the online EZ Fit photo shrinker choose from the following sizes depending on the style you wish to make. If you love Adobe Photoshop and are a graphics do-it-yourselfer, set the crop tool dimensions to the sizes above (make sure it’s inches, not pixels and go for 300 dpi) to crop your images for a perfect fit.